Randallstown Villa Co-op is a spectacular find on the west side of Baltimore County. This 2-story, 74 unit senior community offers the enjoyment and freedom that comes with independent living for seniors aged 62 and older. Randallstown Villa Co-op is nationally recognized as “A Community of Quality” by the National Affordable Housing Management Association. The property was completed in 2003. 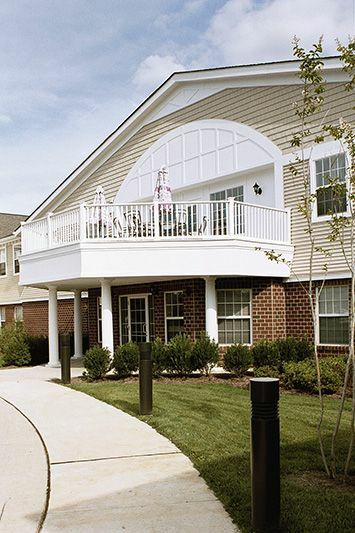 Randallstown Villa Co-op is a healthy and safe environment to live in because it is 100% smoke free. Smoking is not allowed within the individual apartments and the common areas. Resident members embody the spirit of cooperation by living independently and volunteering together. This vivacious community partakes in local events and dignitaries and even hosts special luncheons to entertain its members. Randallstown Villa is conveniently located off of Liberty Road, a major Baltimore County artery. It has suburban comfort but is merely minutes away from the Baltimore Beltway, I-95 and Baltimore City. Randallstown Villa is affordable for everyone. Every unit has subsidy and resident members pay only 30% of their income for rent. So don’t delay! Your new home awaits! Randallstown Villa Co-op is proud to be recognized as a NAHMA Communities of Quality Corporate Partner. This designation is for multifamily properties that have achieved a high standard of excellence in the way they are managed, the services they provide residents, the experience and training of personnel, and other criteria.